Located in the town of Stow, Maine, Summit Achievement is a small, owner-operated residential treatment center for adolescents between the ages of 13-20 dealing with mental health issues, substance abuse, and family problems. The center began in 1996 and since then provide a high standards of treatment which includes education and wilderness therapy. The facility was founded by Chris Mays, Candice Kane, and a few others who co-signed loans to get the non-traditional business up and running. The center’s treatment program utilizes a combination of adventure activities which are usually a part of wilderness programs and therapeutic community. The facility offers wilderness expeditions, academic classes, and residential community in which adolescents are encouraged to practice new skills in a comfortable, social setting. The program also offers client-centered therapy which aims to provide individualized treatment plans with the help of highly educated mental health professionals. 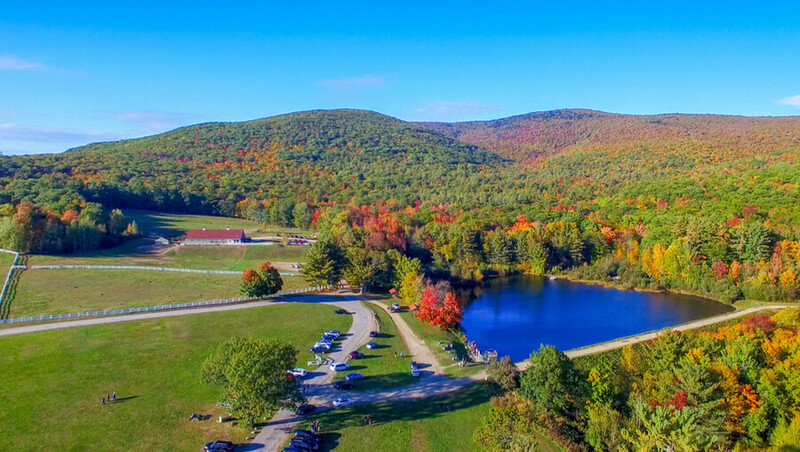 The facility provides students with the opportunity to get involved in adventure-based therapy, group-based therapy, and other models of treatment. The wilderness treatment center also offers peer support and a family inclusion program which consists of face-to-face family therapy and in-person family therapy sessions. The facility provides 54 serene acres of property and a more than 5,000 square foot campus which has a relaxation and event space, a commercial kitchen, dining space, counseling offices, and laundry facilities. The center also provides a 3,500 square foot of classroom which operates as an academic center for the adolescents. The residents typically share rooms in a four-bedroom cabin which also has common areas. Each of the cabins is considered a “team” which encourages peer support and a communal spirit. Each team consists of a group of 8 students who also participate in group activities together. Teams rotate helping in the preparation and serving of meals and food is included in the cost of the stay. The residents at the campus attend school three days a week—Monday, Tuesday, and Thursday—and leave for a four-day expedition on Thursday. Students are also involved in adventure activities, which differ every week, designed to meet the physical and emotional needs of each student. The students go through six program levels, with each level consisting of a wide range of programs created to empower adolescents to take responsibility for their actions and decisions. The first few levels focus on the therapeutic process of acceptance while the upper levels focus on self-management. The program also allows parents to visit their children at least three times. Additionally, the facility provides medication management services, group and individual therapy, and neuropsychological testing. Summit Achievement costs approximately $9,150 to $15,100 for a 30-day treatment at the facility but this price is subject to change as it is greatly dependent on the type of treatment and level of care a client requires. An enrollment must be paid upon admission and it can range from $2,000 to $3,000. Insurance is not accepted as this is a private pay organization but financial assistance is limited to clients who are eligible. Lending options from Prosper Healthcare Lending is offered as well to clients interested in such. Clients are advised to contact the facility for more information on payment and admission. The facility is fully accredited by the Outdoor Behavioral Healthcare Council. The organization offers different extracurricular activities all year round depending on the season. Some of these activities include snowshoeing, swimming, backcountry hiking, canoeing, rock and ice climbing, and many more. The facility organizes alumni events yearly with the aim of helping new residents and alumni connect on a level ground. Being in the business for over 20 years, the facility has a wealth of experience providing an environment for adolescents suffering from substance abuse and mental health issues to find support and begin the journey to sobriety. In entirety, the facility offers well-rounded, structured, and comprehensive programs to individuals suffering from addiction issues, including evidence-based therapy and co-curricular activities. Clients seeking a facility that helps clients develop self-sufficiency would find Summit Achievement to be a good option. Nichol holds a Bachelor’s degree from Brown University in United States History and a Master’s degree from the University of New England in Social Work. He specializes in different treatments such as social coaching, family systems therapy, cognitive-behavioral therapy and more. He is licensed to practice clinical social work and is certified in EMDR and Mindfulness. Will holds a Master’s degree from the University of Denver majoring in Social Work and a Doctorate degree from Franklin Pierce University in leadership. He is the author of a best-selling book and is licensed to practice clinical social work and drug abuse counseling. Anson holds a Bachelor’s degree from Unity College in Outdoor Recreation Administration. He has over 17 years of experience working with troubled teens in both residential and wilderness settings. He also has a Wilderness First Responder Instructor Certification and enjoys adventuring and family time.